Hi, we are Ventzke Media, a creative tech agency. Our innovation team develops digital products with a unique user experience. 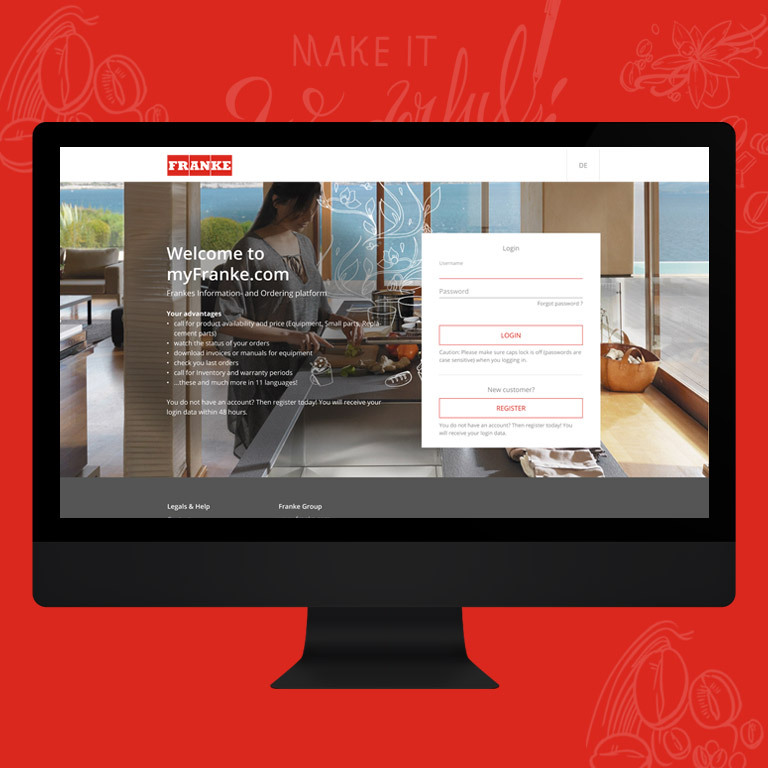 International relaunch of the Franke e-commerce platform. In a collaboration with Franke Foodservice Systems, we have implemented the B2B Webshop, which customers worldwide use like McDonald's, as a React web application. Technologies: React / Redux / TypeScript / UIkit / Node / etc. Development and product launch of the distance-sharing app coopz. 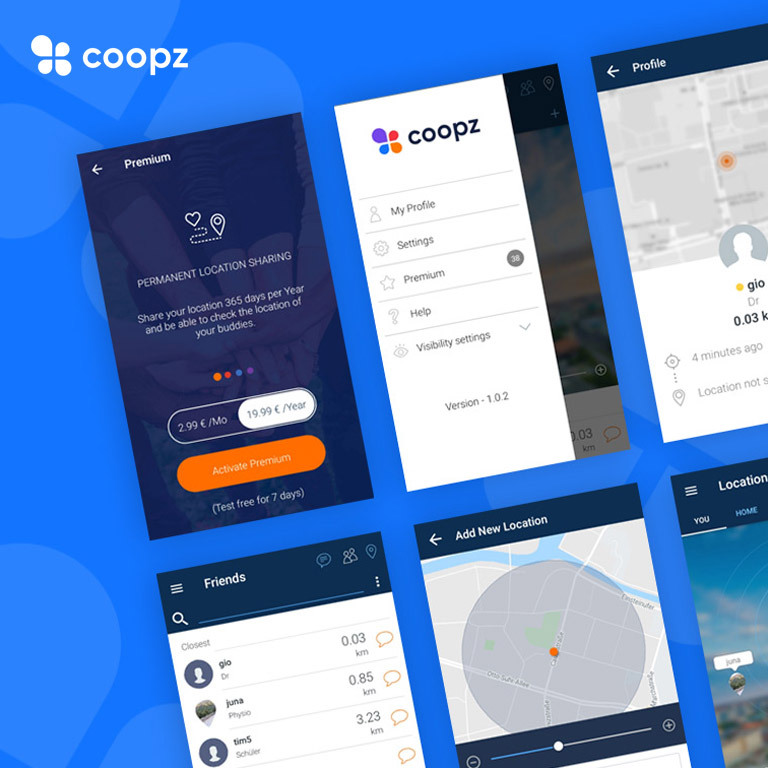 coopz is a product development from our Innovation Lab. The mobile app facilitates communication between friends. On the coopz radar, friends can see distances and share locations. We have Outsourced a Startup from the project. Features: GPS algorithm / Optimized battery consumption / uvm. Digital brand relaunch for Europe's largest nursery. For the nursery Lorberg we developed the new online brand appearance. In addition to countless features, the website also displays the 40,000 plants of Lorberg. The TYPO3 website communicates directly with the goods management of Lorberg. The right strategy is indispensable today to determine or strengthen one's own position in the competition. With Ventzke Media, you have a competent partner at your side who knows how to reach and address target groups skillfully. Together we develop a concept that puts your company, your product or your brand in the right light and stands out from the crowd. We design logos, apps, websites, interfaces and give your brand a brand refresh. Ventzke Media's approach is to transform state of the art concepts into digital designs. We create brand experiences on the web and ensure a special kind of customer experience with a high proportion of customer traffic. Always in focus: the conversion that finances your brand. Ventzke Media makes sure that you can use your application flexibly and future-proof. 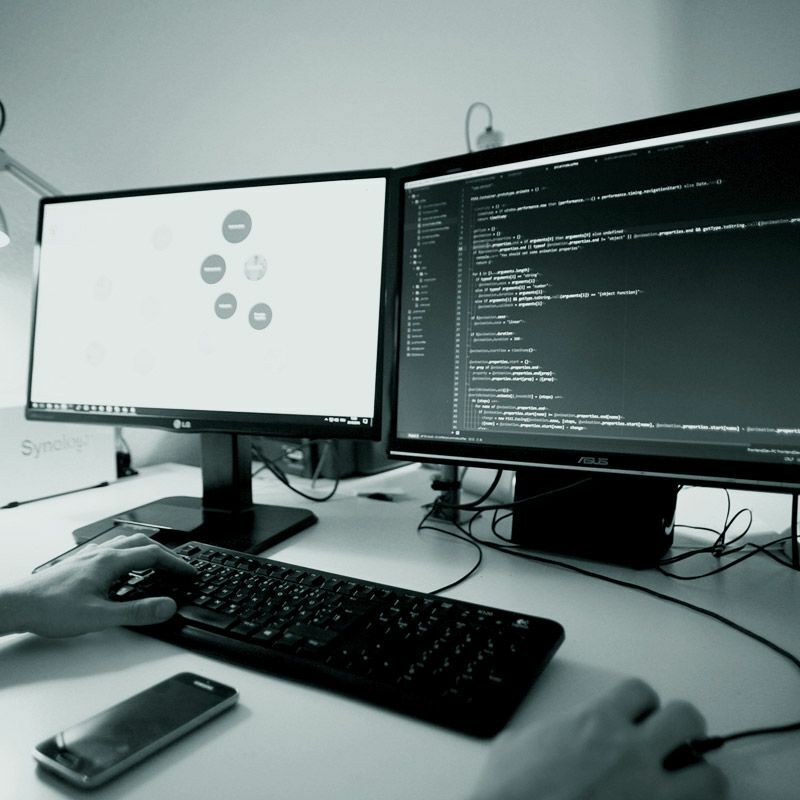 We have deep expertise in all areas of web development, be it in the front end or backend. We offer you robust solutions, from the simple landing page to the complex application from a single source. In addition to the discipline on the web, we also offer the implementation of mobile apps. The task of Ventzke Media is to ensure a more efficient internet presence through online marketing. We specialize in bringing your website or online store on Google long term on page 1. In addition to search engine optimization (SEO), search engine marketing (SEM) is also necessary. At the same time, SEO and SEM should not be viewed separately, but rather as synergistic individual areas. We are an international team of UX experts, developers and project managers with a focus on digital media. Since 2008, we have been developing digital solutions for medium-sized companies, hotels, start-ups and universities. We act independently of any industry and develop own products. For start-ups we act as lead agency and take over the complete brand development. Our fuel? Passion and the constant urge to get better. The online world is constantly changing. Those who do not participate in these changes, is quickly lost. That's why we are not satisfied with the successes already achieved. We strive to become better and better and to provide our clients with sustainable concepts that are fit for the future. This only works through training, adjustments and new ideas. 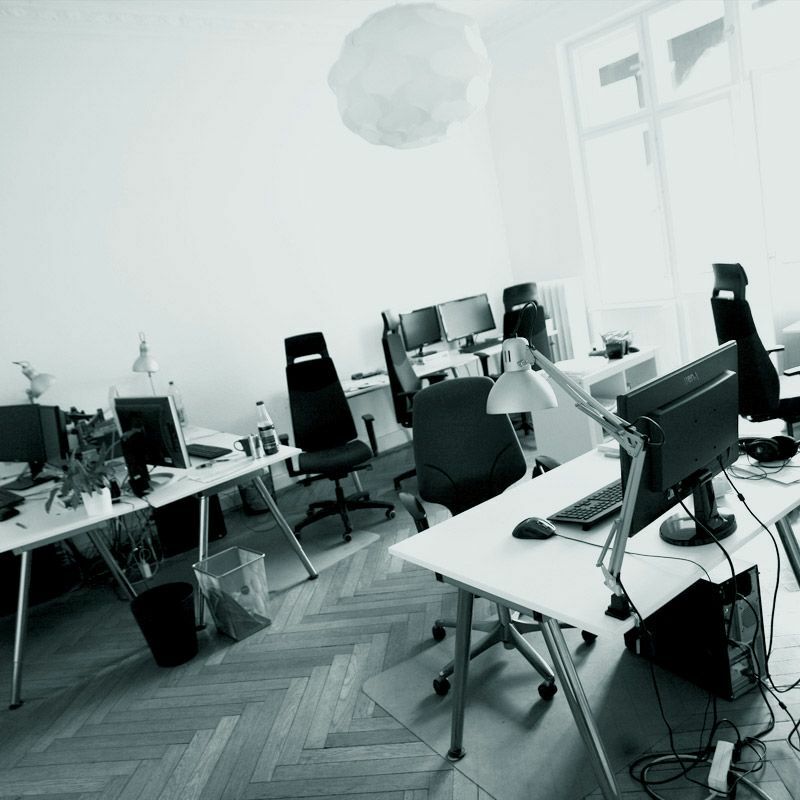 With us you gain a versatile team, always on the pulse of the digital age is working. We work with ambitious brands and people. Do not see us as a service provider, we are more. We are the extended arm of your team. We achieve the best results on the basis of partnership-based cooperation, at eye level.